This past weekend, April 17th to be exact, marks the 40th anniversary..
It’s embarrassing for me to admit, but before coming to Cambodia, my knowledge of this country consists of one history podcast of Angkor and, sadly, Tomb Raider. That was it. So to learn that this beautiful country with the humblest of people had such a dark, dark past did not settle well with me at all. I have never experienced anything like this before. I couldn’t wrap my head around it; the genocide in Cambodia. 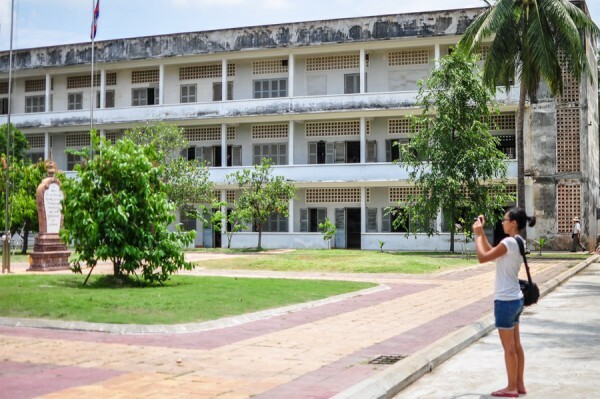 I remember arriving to Tuol Sleng (S-21), once a high school turned prison where people were tortured and interrogated. It is now a museum, though in my mind, felt more like a cemetery. Steel beds, rusted chains, barb wires and sepia stained photos of prisoners plastered the walls, countless mugshots of children, documents of written confessions, the prison cells and interrogation unit — yes, these are the disturbing images I remember, this is just a glimpse of what the prisoners had to endure. My name is Chum Mey. I was born in Boeung Snor village, Kampong Trabek – Prey Veng Provence. I was born in November 1933. I have 8 brothers and sisters including me and I’m the fifth. When I was young, I studied at pagoda and also became a monk for one year at Svay Oudom Pagoda. I got married to a lovely wife named Som Savon in 1966. And we have 4 children. As a mechanic, I had been working for a small garage in Phnom Penh City. […] My main responsibilities at that time were to fix tractor machine and to build bridge. 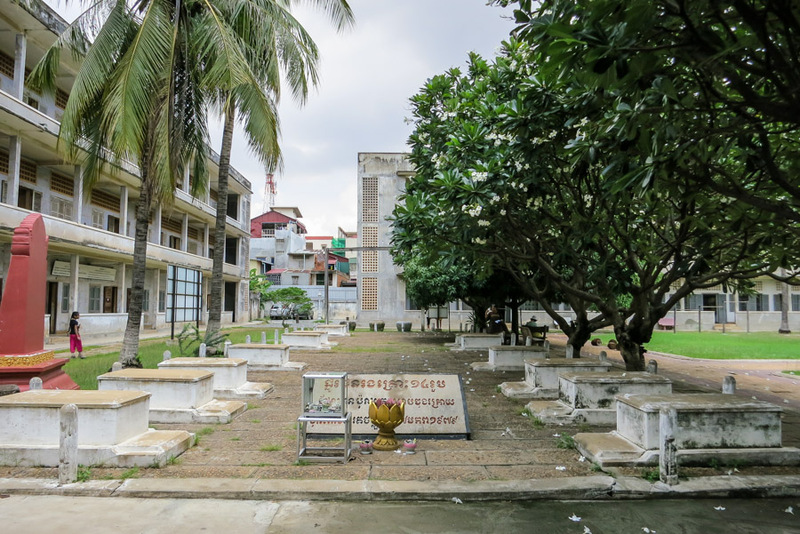 […] In 1975, the Khmer Rouge Army had chased everyone out of the city. I and my family were fleeing the city along the National Road No 5 without knowing where to go. Once reach Prek Kdam (around 20 km north of Phnom Penh), the Khmer Rouge had appeared to the entire intellectual to go back to the city and work for them. I told them that I was a mechanic and that I wanted to work for Angkar (Khmer Rouge). Then they issued me an official letter so that I could go back to Phnom Penh. At that time there were seven of us coming back to the city. One day, my boss name Kun had been arrested for no reason and no one dare to ask why. One month later the deputy director, known as Chhun, was also arrested. Several months later, I, along with 3 coworkers, were told that we were transferred to work as mechanic in Vietnam. Actually it was not Vietnam. It was Tuol Sleng Prison (S21). Once I got there, my hands were tied and I was blind fold and was escorted to one room. Then they measured my height, took my picture and finally took all of my clothes off except my underwear. After that they send me to room 022 on the ground floor of building C. A few moments later, on the same day, the guards came and took me for questioning on the second floor of building A. After badly torturing me using various tools like wooden stick – electric wire – nail taking so on and so forth, I was ask whether I was CIA – KGB agent or not. After repeat torturing days and night, I had to force myself to make false statements by confessing that I accidently destroy the factory fabric by spilling acid onto it and that I also broke some needles while working. Then they stopped questioning me. I still remember that it was not until I had to confess the mistake that has nothing to do with me at all. About living condition, it was as bad as hell. Meal was served with almost empty porridge, about two to three spoons per bowl. About drinks, it was so little and no one dared to ask for more. If so they would be beaten. For shower, I could make it one per two month only. About the sleeping, I was put into a room of thirty to forty prisoners. I was shackled to one common bar of nine prisoners. 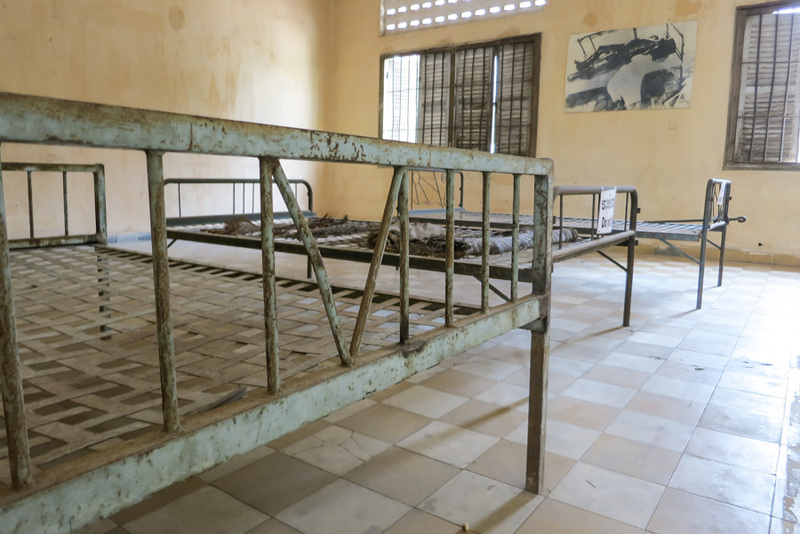 Even more shocking, every night around 10 to 11 p.m the Khmer Rouge always took the prisoners out for execution. One day, three of my roommates were called and taken away. Had it been 4 prisoners called at that day, it would have been me. One day a Khmer Rouge came and asked me whether I could fix the sewing machine or not. I answered yes. Then I was given the duties of fixing the machine. Life had been improved after that. I was given enough meal and drink. Several days before the liberation (January the 7th 1979), something strange happened. Every Khmer Rouge was fully equipped as if they were ready to go to the frontline battle. Occasionally we heard the sound of artillery. I still remember that I was teaching the females Khmer Rouge on how to fix the pumping machine. Several months later, we (around 18 of us) were gathered in the today reception hall, waiting to be taken away from S21. 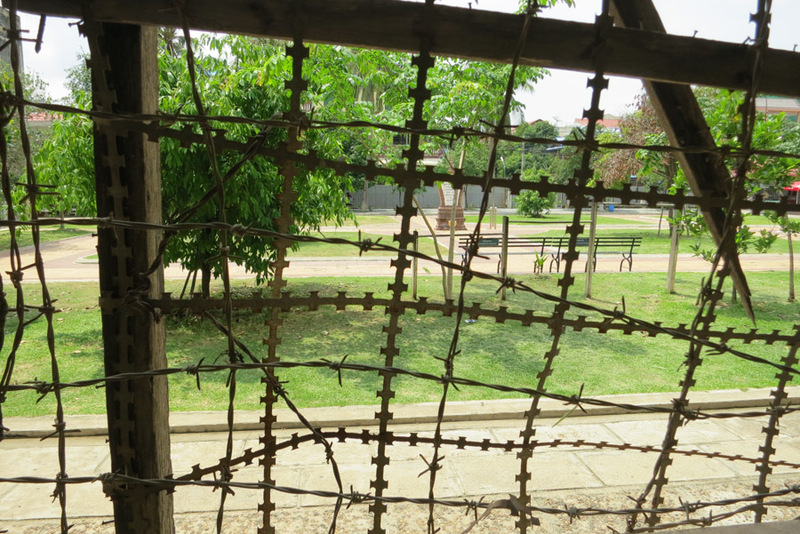 Without knowing where we were going, we were walking in a row heading west, with the Khmer Rouge pointing the gun at us. Somewhere near Prey Sar (Phnom Penh Prisoner Camp today), I was able to meet my family and we kept our journey westward. When we arrived at Ang Snoul (around 30 km west of Phnom Penh) we intercepted the Vietnamese troops and the fighting erupted. Because of the fighting we were separated into two groups. I and family were together. 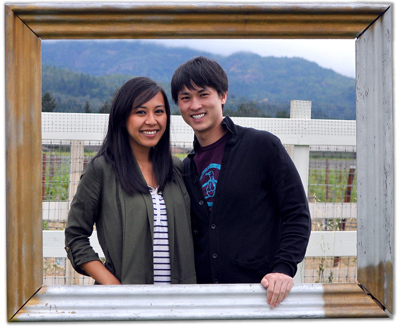 One day the Khmer Rouge shot killed my wife in front of me. I was helpless at that time. While they were changing the cartridge, I was able to make narrow escape, leaving behind my child who was still alive and crying at that time. I still believe that up until now my child is still alive. 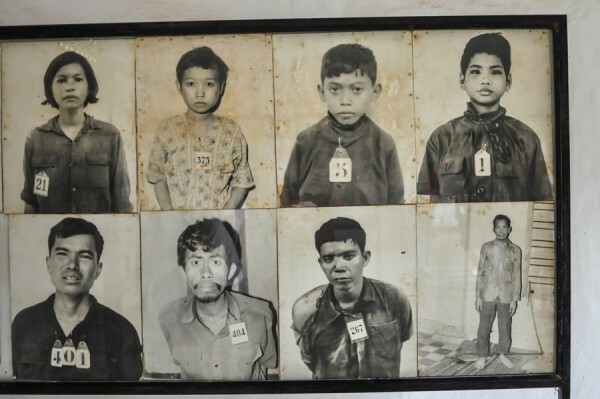 Under the reign of the Khmer Rouge, at least 1.7 million people died either by execution or starvation. That’s a quarter of the countries population in just four years. That number is both staggering and heartbreaking. I think it’s important when you visit a place, that you not only seek the beauty in landmarks and indulge in delicious food, but you take the time to get cultured and learn about its past too. This isn’t the sort of stuff they teach you in World History class. I wish they did, but I have no qualms getting that lesson now and not from some book. For a country we knew so little about prior to coming, we’ve never sympathize more with it’s people. It’s true what they say, Cambodia is a country you’ll learn to love and pity. People have lost, a lot. Many are still recovering, others are moving forward. Likely, these are your tuk tuk drivers and Angkor guide, the hotel cleaning lady and favorite local restaurant owner. They are the beggars and sellers, your every day people. Get to know them. Get to know Cambodia. How much do you know about Cambodia and the Khmer Rouge? Great post guys – we were devastated by the sadness and simultaneously the friendliness we encountered every day in Cambodia. It’s hard to process and to reflect on, but so necessary so that we can share and never forget.